Pepper & Chocolate: Michel Cluizel Noir infini 99% chocolate. 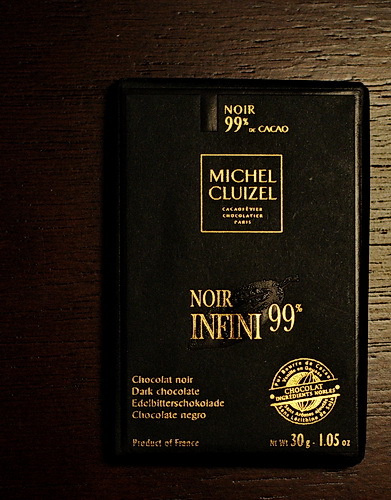 Michel Cluizel Noir infini 99% chocolate. It is dark, very dark. If you are looking for something subtle, this is not for you. This chocolate delivers a bold rich intense coco flavor. I you like 85% dark chocolate, this is something you have to try.